We reported recently that Transformers Revenge of the Fallen has been nominated for the worst film of 2009 award in the anti-Oscars, the Razzies. It seems that Transformers 2 could well win the award too (despite in our opinion being much better than the first film) as the bookies have installed Transformers 2 as the favourite for the dishonour. This seems very harsh when GI Joe is also nominated, and that film genuinely was awful. Bookies Paddy Power have made Transformers Revenge of the Fallen the odds on favourite, at 11/10, to lift the Razzie for worst film. 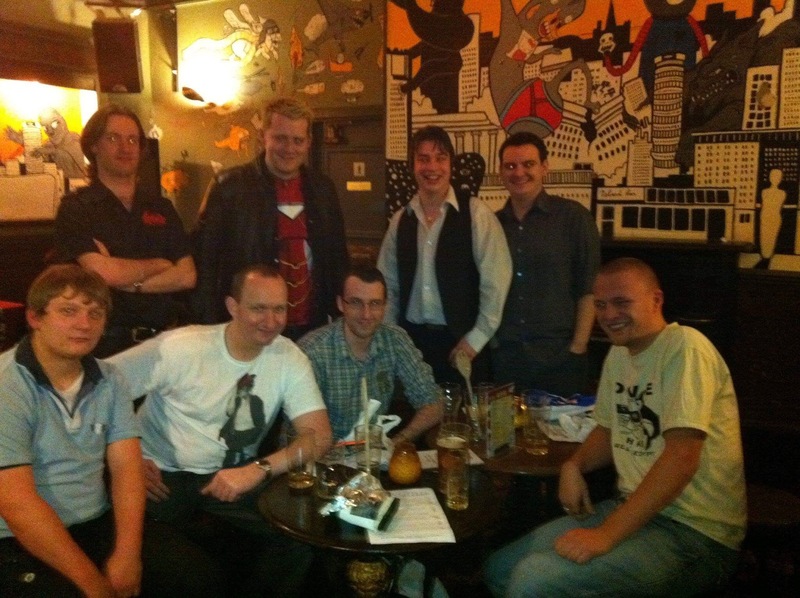 In total, ROF has been nominated for seven different awards. Think about poor Sandra Bullock though, as she’s nominated for a Razzie for worst actress at the same time as she’s also nominated for an Oscar for best actress. Is Transformers Revenge of the Fallen the worst film of the year? It hardly seems fair considering we thought it was much better than the first film, but Michael Bay’s Transformers sequel, Transformers Revenge of the Fallen is up for an award – worst film of the year. 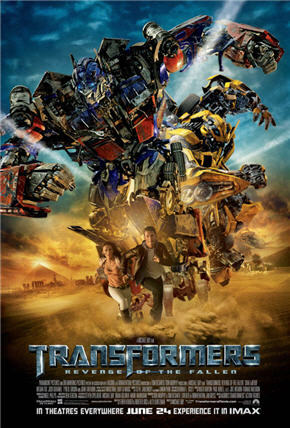 The Razzie Awards has shortlisted Transformers 2 for this ‘to be avoided’ award, in one of the movie’s seven nominations. Very unfair indeed. Megan Fox has also been nominated for worst actress for her part as Michaela in the Transformers movie. Megan faces stiff competition from another Transformers actress, Julie White. It’s not a good time for Marvel either as GI Joe has also been heavily nominated. Having seen GI Joe on a plane recently, I was hoping for the plane to crash so I could miss the end of the film! Just a quick reminder that Transformers Revenge of the Fallen is released on Blu-Ray and DVD this week, Monday 30th November. There’s a 2 Disc DVD released, a single disc and a Blu-Ray. You can buy the DVD from Amazon here. 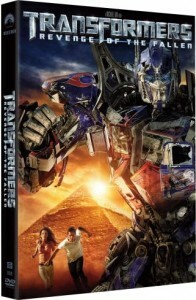 The battle for Earth continues in the action-packed blockbuster, TRANSFORMERS: REVENGE OF THE FALLEN, coming to DVD and 3-disc Blu-ray on November 30 2009 from Paramount Home Entertainment. From director Michael Bay and executive producer Steven Spielberg, TRANSFORMERS: REVENGE OF THE FALLEN delivers non-stop action and fun in an all-new adventure that the whole family can enjoy. Featuring out-of-this-world heroes in the form of the mighty Autobots and a malevolent and powerful villain known as The Fallen, the film boasts some of the most sensational – and complex – visual effects in film history. 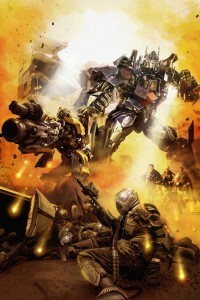 In addition to audience favourites Optimus Prime and Bumblebee, the film’s human stars have returned to help save the world including Shia LaBeouf (Indiana Jones and the Kingdom of the Crystal Skull), Megan Fox (How to Lose Friends & Alienate People), Josh Duhamel (Las Vegas), Tyrese Gibson (Four Brothers) and John Turturro (The Good Shepherd). The TRANSFORMERS: REVENGE OF THE FALLEN 3-disc Blu-ray and 2-disc Special Edition DVD both feature over three hours of in-depth, immersive special features that let viewers further explore the world of the legendary ‘robots in disguise’. Among the engrossing content is a multi-chapter documentary, including interviews with the cast and crew, that chronicles the entire making of the film, from development and design to filming in locations around the globe, working with the U.S. military, creating the groundbreaking visual effects and putting it all together to produce one of the biggest films of the year. 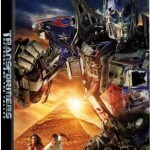 The discs also include an all-access featurette following renowned director Michael Bay through an entire day, a comprehensive exploration of the ‘confidential files’ on a dozen of the Transformers characters featured in the film, multi-angle breakdowns of some of the most sensational action sequences and much, much more. The 3-disc Blu-ray and 2-disc Special Edition DVD packages will also feature augmented reality technology that will allow people to interact with a holographic image of Optimus Prime by using a webcam and a special website. As an added bonus, the Blu-ray will include an exclusive interactive feature that gives viewers the ability to customise their own robot characters and get a glimpse at a rogue robot. Out of all the available permutations, one will unlock an exclusive interview with Michael Bay about his plans for the next adventure. Play.com has just emailed us to confirm that the DVD release of Transformers Revenge of the Fallen is their featured Deal of the Day for today, and it’s not even out yet. 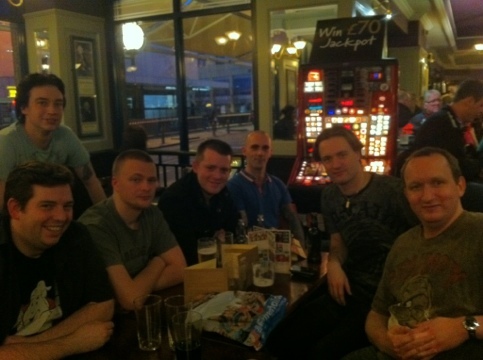 You can order the DVD here for their discounted price of just £9.99. Transformers 2 isn’t released until the end of November, but today you can pre-order it on the cheap. Yes, you heard right. Transformers 2 star Megan Fox is challenging people to play Transformers Revenge of the Fallen against her on Xbox LIVE this week. 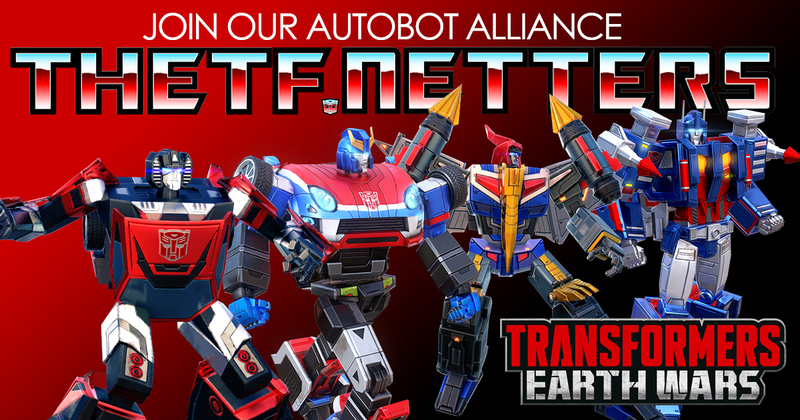 The Transformers babe will be logged on and ready to take up your challenge at 3:00pm Pacific Daylight Time on August 29th, using some of the new characters and location maps on the game. Her Xbox LIVE tag is “Megan Fox 2009” – look out for when you’re playing! 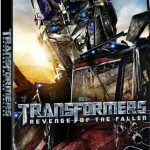 Play.com have posted the covers for the 1 and 2 disc editions of Transformers: Revenge of the Fallen on DVD. As we have already announced, the DVD and Blu-ray sets will be released on 30th November in the UK. No dates for other countries have been announced so far but expect them to all be before the UK. These same covers will also be used for the North American DVD editions. The first details on the DVD and Blu-ray release of Transformers: Revenge of the Fallen have trickled out from Paramount Home Entertainment. Five different sets have been revealed for release on 30th November in the UK, so far. There will be 3 DVD sets, a single disc package, probably with just the film, a 2 disc package, with all the special features, and a combo pack containing both films. On blu-ray, there will be a 3 disc set, which will really be the one to get, as it will probably contain the most extra features, as well as the better visual and audio selection. The third disc is most likely a digital copy that studios like to include. Again, there will be a set containing both films. Of course, this doesn’t include all the store exclusives or special variants that are common these days, so check back soon when we have confirmed details, including a look at the box art. After another weekend haul at the box office, Transformers: Revenge of the Fallen has entered the all time domestic top 10. $8.1 million over the weekend saw the film slip from 3rd to 6th with a 41% decline in revenue. 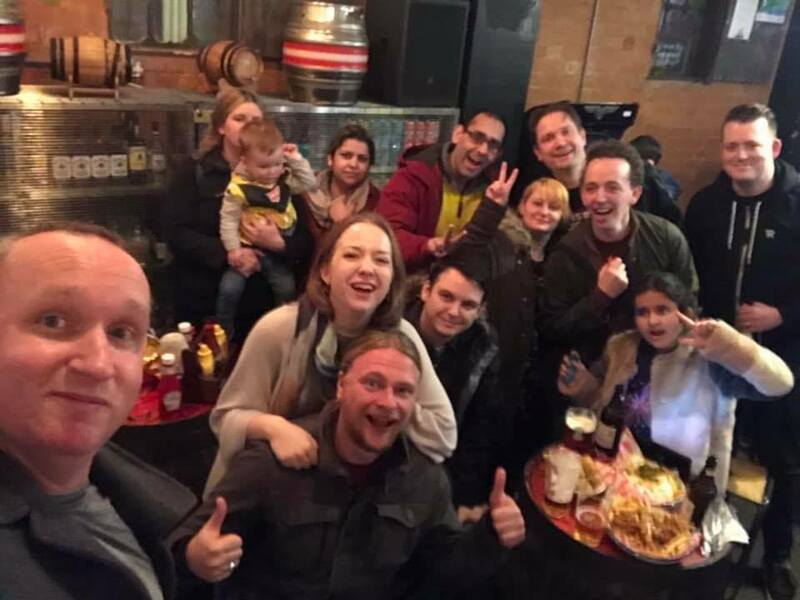 The total did however bring the film up to $379,214,172 in it’s home market, just one million off Star Wars: Episode III Revenge of the Sith and within distance of the magical $400 million barrier. Another stat to keep you stat fans happy, despite reaching the top 10, Revenge of the Fallen isn’t even in the top 80 when you take into account inflation. USA retailer Best Buy has put up a listing for a Transformers: Revenge of the Fallen Blu-ray Gift Set, which contains the film, a special edition Blu-ray disc, an exclusive Optimus Prime Mini Head Replica and a $50 Gift Card to spend at SideshowCollectibles.com. The set is due to retail for $49.99 but does not have a release date yet.